Brian Tiplady has been involved in testing cognitive function for over 20 years, as a pharmaceutical industry scientist, academic researcher, test developer, and research consultant. He has been a pioneer in the development of tests for portable platforms, authoring the first published report of the use of a PDA for performance testing in 1994, and the first published account of the use of mobile phones for performance testing in 2004. For more on cognitive testing methodology, read on! Driving is the activity that causes most concern. We all know about the effects of alcohol on driving, but other drugs, both legal and illegal can impair driving. And the Selby rail disaster in 2001 reminded us all of the dangers of driving without enough sleep. Many prescription drugs affect cognitive function. Some of these are drugs whose main actions are on the brain, for example sleeping pills and antidepressants. Sleeping pills obviously are sedative - they are designed to make you sleepy. Problems come with hangover effects, when you're still sedated the morning after. Diazepam (Valium), one of the early benzodiazepines, has a half-life of around 48 hours - so you still have nearly as much of the drug in your bloodstream when you wake up as you did when you went to sleep. One of the key goals in research on newer benzodiazepines such as temazepam and triazolam was to show that they didn't cause cognitive impairment the morning after. Benzodiazepines are also used to treat anxiety, and the potential problems with sedation are greater, as in this case drugs are taken during the day. Benzodiazepines taken during the day, like alcohol, have been shown to increase the risk of traffic accidents. With newer drugs, it has been possible to separate the anxiolytic (anti-anxiety) effects at least partially from the sedative effects. Again, a great deal of research has been carried out to document the greater safety of the newer drugs. Then there are drugs which are not intended to affect the brain at all, but they do. Examples are antihistamines, used to treat allergies such as hay fever. The older drugs all cause substantial sedation, and if you've taken these you will have seen a warning on the packet about driving or using machinery. As with the anti-anxiety drugs, newer drugs are a great improvement - and a lot of research on cognitive function has gone into showing this. Illicit drugs are generally harder to study than legal ones, but they are widely used, and clearly pose a risk for driving. Cannabis is a major concern, partly because it is widely seen as a relatively harmless drug. However there is now good evidence both from the lab and from the accident statistics to indicate that it not safe to drive with cannabis on board. It's not only driving. All sorts of activities at work and at home can be compromised by drugs or fatigue. How well does a junior doctor perform after many hours on call? Should we fit alco-locks on planes, so that pilots can't fly them unless they have a zero breath alcohol? Drug testing in the workplace is increasing. But home can be dangerous too. Drugs can impair memory - what if you forget that you've left the chip pan on? You might burn the house down. These tests are generally "no-brainers". They are designed to assess simple information processing, and response selection. An example is the four-choice reaction test. You see four lights arranged in a square, and have a matching set of four response button, Lights go on one at a time, and you have to press the corresponding button. That light goes out, another comes on, and again you press the corresponding button. This goes on for several minutes. We record both reaction time and number of errors. This type of test was originally set up using custom equipment by Wilkinson and Houghton in 1982. It. can readily be set up on a computer, with the lights appearing on the screen. It can also be presented on a tablet computer, with buttons on the screen being tapped rather than physical buttons. There are many other types of choice reaction tasks in use. Many drugs slow reaction times on this type of test, for example benzodiazepines. At therapeutic doses of temazepam you see a 10-15% slowing on this type of test. You might expect alcohol to be similar. Although it does lead to some slowing, it has a much bigger effect on errors - the effects are quite different from temazepam. Click here to find out more about the distinctive effects of alcohol on performance. A key ability here is maintaining attention to target stimuli in the presence of distracting information. If you had to respond to a left or right arrow by pressing a left or right button, this would simply be a two-choice reaction test. Now suppose we add some other arrows, as shown on the right. Now the task is to press the button corresponding to the middle arrow, while ignoring the outer four arrows. The target (middle) arrow can point right or left, the outer (flanker) arrows can point in the same direction as the target or in the opposite direction. This type of flanker test was origniated by Eriksen and Eriksen. Sedative drugs generally impair this type of task. A recent study showed a particularly large effect of clonidine , supporting a role for noradrenaline in this particular type of attention task (Tiplady et al., 2005). A simple memory test that is widely used is word list learning. The experimenter reads a list of 15 words, then asks you to recall as many as possible in any order. This recall can be requested immediately - short-term recall - or after a period doing other things (usually unrelated performance tests) - long-term recall. Alcohol, benzodiazepines and anticholinergic drugs all impair the process of consolidation, that is the formation of new long-term memories. Working memory tests are affected by different factors than consolidation tests. For example, the test above is greatly impaired by metabolic challenges such as reduced blood sugar (Deary et al., 2003). and press a YES button if the sentence is true, a NO button if not. Again, we record reaction times and number of errors, and many drugs cause a slowing of responses in this test. The versatility of PCs, both in terms of visual presentation and ability to interface to other devices makes them the conventional way of presenting performance tests. Testing on PCs also allows the use of the internet, both to download tests and to transfer results rapidly to a secure central server. Tests can be run within a browser, and incorporated into a website, allowing the web to be used as a tool, for recruitment as well as for test management. PCs are very versatile, but where portability is required smaller devices may come into their own. For example if testing in a hospital ward, or in a field study, even a compact laptop may be too cumbersome, especially as most of the keyboard is unused. 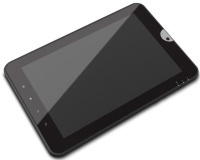 Tablets have a touchscreen interface (wither stylus or finger). This allows a wider range of tests to be set up than a conventional PC. Click here for more on tablet computers. Mobile phones are highly portable, and lots of people already have them and know how to use them. This offers a way of doing low cost research on a large number of people. The phones have to be Java- and Web-enabled, but this is the case for most new phones now. The small screen size does limit the types of test that can be programmed, but there are sufficient tests that are suitable to allow a comprehensive test battery to be built. Click here for more about mobile phone testing. Lots of tests can be done with pen, paper and stopwatch, and this is still the principal method used by clinical psychologists for assessing patients, being portable and inexpensive. There are limitations. Obviously with a stopwatch you can't measure short times accurately, and this greatly limits the range of tests that can be used. If you are doing a lot of testing, manual scoring may take a lot of time. This is why we mostly use computer-based tests in our research. There are however, quite a few paper-based tests that are hard to computerise, either on PC or PDA. This is where the Anoto® digital pen comes into its own. We are using this increasingly for maze and drawing/writing tests. 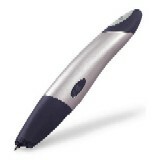 Click here to find out more about digital pens. This approach was widely used in the era when computers were bulky, expensive and inflexible, but most test development today is done on computer systems. Some specialised testing requires custom-built apparatus, though even in this case there is usually a computer controlling the system and recording the results. We sometimes use such systems in our research (for example monitoring eye movements) but are not involved in developments in this area. Many tests can be run equally well on a PC, a PDA and a mobile phone. Although these are very different devices, all run the programming language Java®. An expanding range of test modules is available written in Java, which can be assembled into applications for specific uses quickly and efficiently, with no need to rewrite code when transferring to a different platform. For more information, demonstrations and information on how to obtain test systems, click here.